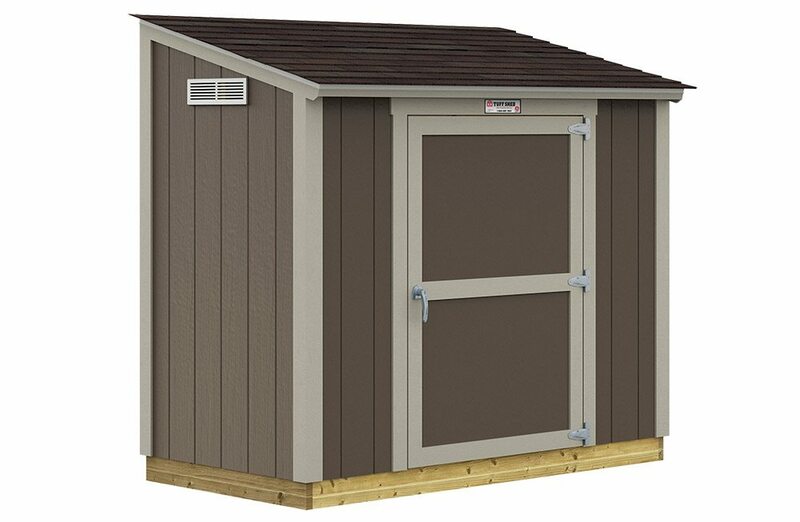 Metal Building Supplies LLC now proudly offers Tuff Shed Storage Buildings. 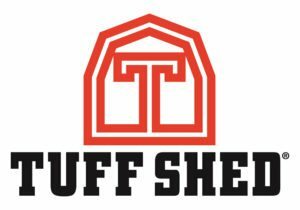 Tuff Shed Storage Sheds are built on site which is nice when you don’t have normal access to your yard. 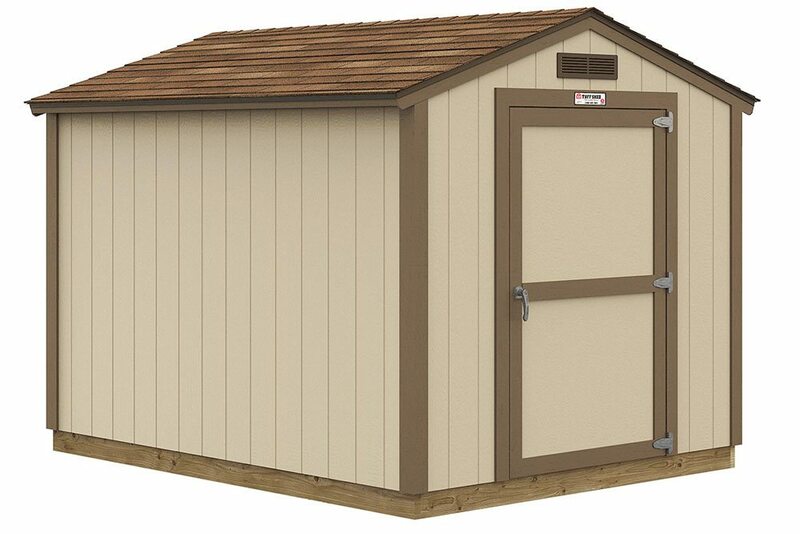 We feature 3 lines of storage sheds. 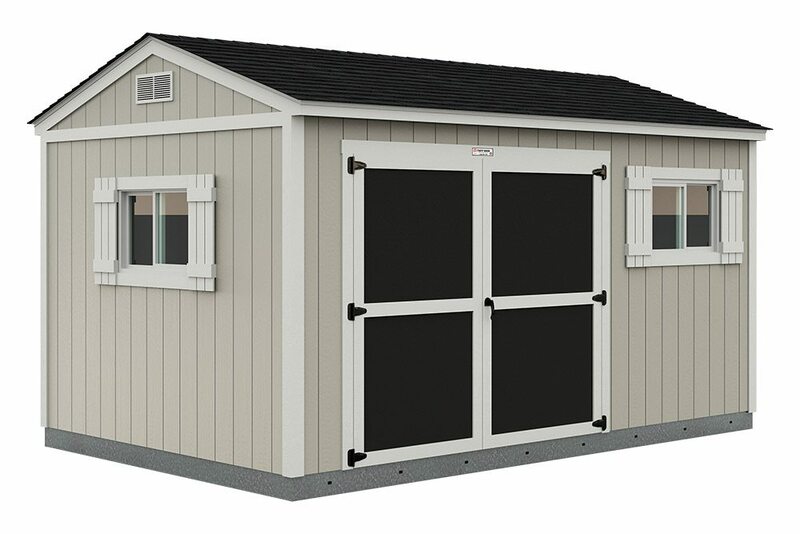 Our lowest priced factory-direct ranch shed offers Tuff Shed quality for even the budget-minded customer. The features listed below distinguish the Garden Ranch from other Tuff Shed ranch style sheds. 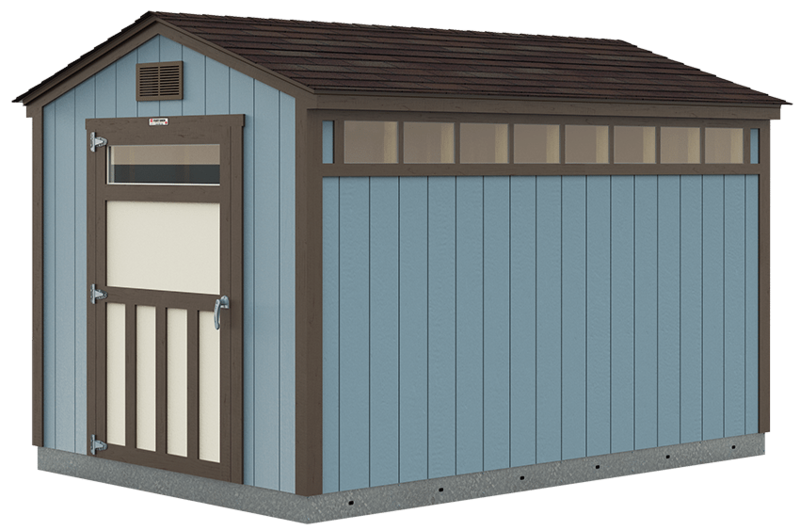 Our smallest standard shed model, the 4×8 size is designed to fit into tight spaces and the price point is designed to fit into tight budgets. The single slope roof design accommodates a 5’5″tall door on the shorter wall (as shown) or a 6′ tall door on the taller wall. 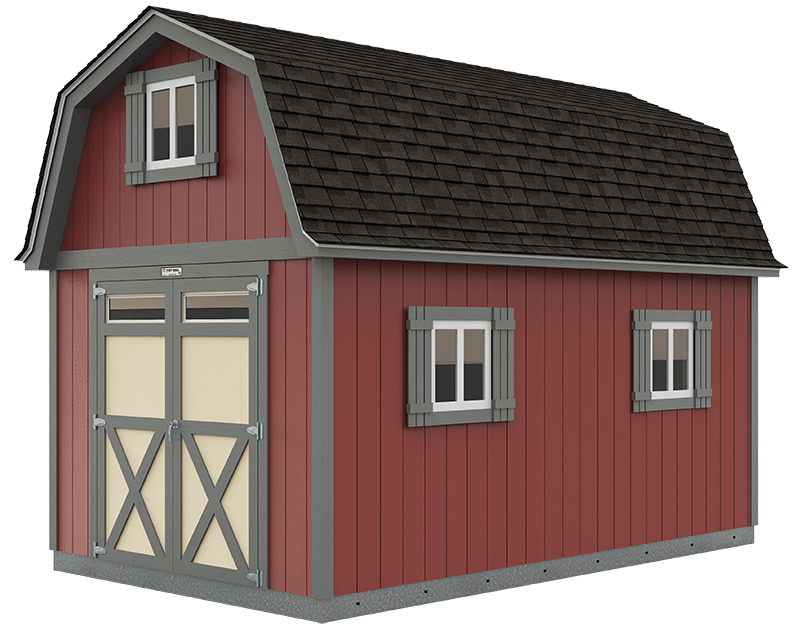 Our lowest priced factory-direct barn shed offers Tuff Shed quality for even the budget-minded customer. The features listed below distinguish the Garden Barn from other Tuff Shed barn style sheds. 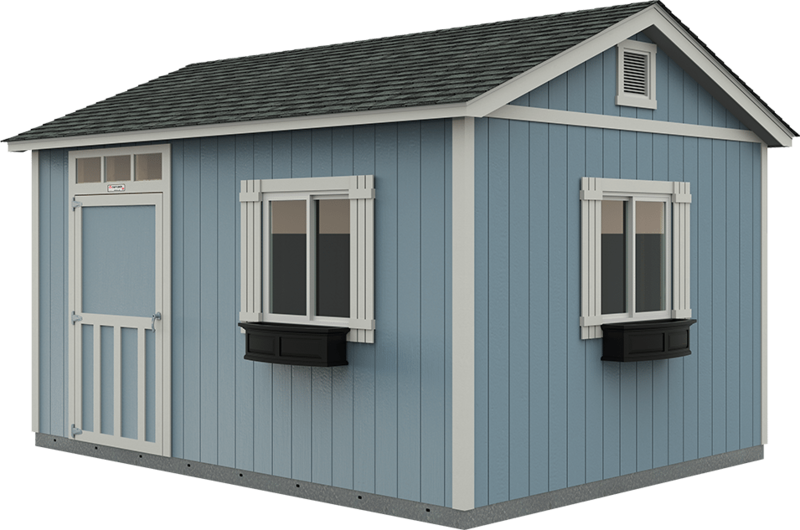 Fashioned after our original line of sheds, this model is the first step up from the Garden Ranch, offering more sizes, more feature, more door placement options, and more warranty. A taller version of our Premier Ranch with all of the same great features. The taller walls mean more wall and overhead storage space, plus they allow for a taller 6’7″door which can be placed on any wall. The 6’5” tall interior sidewalls and significant overall ground-to-peak heights equal more storage space on the walls and overhead. Most customers selecting this model take advantage of the additional height by adding an optional loft. The PRO Ranch is so packed with valuable features, it’s an easy upgrade choice. The considerable eave overhangs, dimensional shingles and steeper roof pitch give this model great curb appeal. 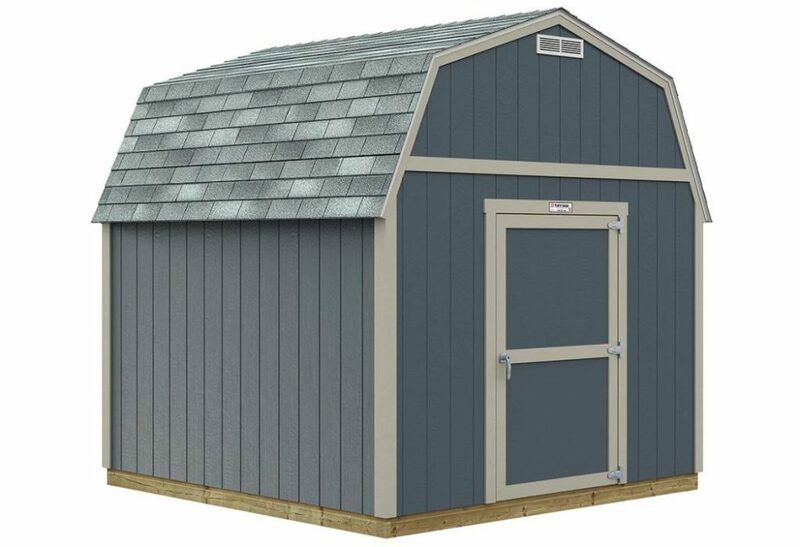 Our top of the line ranch style storage building is large in stature with the tallest overall height and most overhead room of any of our ranch style sheds. The PRO Series features make it great looking on the outside and full of room on the inside. 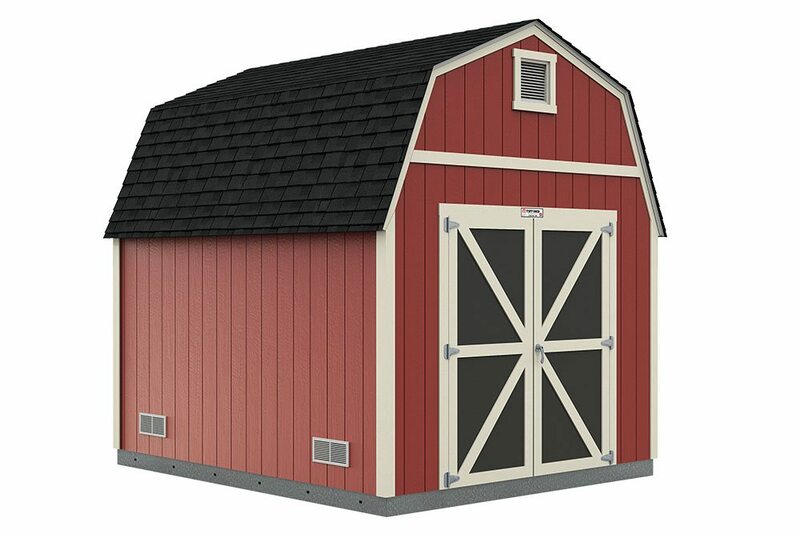 Our top of the line barn style is our largest standard shed design with the most overhead space of any model. Overall ground-to-peak heights reach as tall as 18’8” on some sizes. The PRO Series features make it great looking on the outside and full of room on the inside. 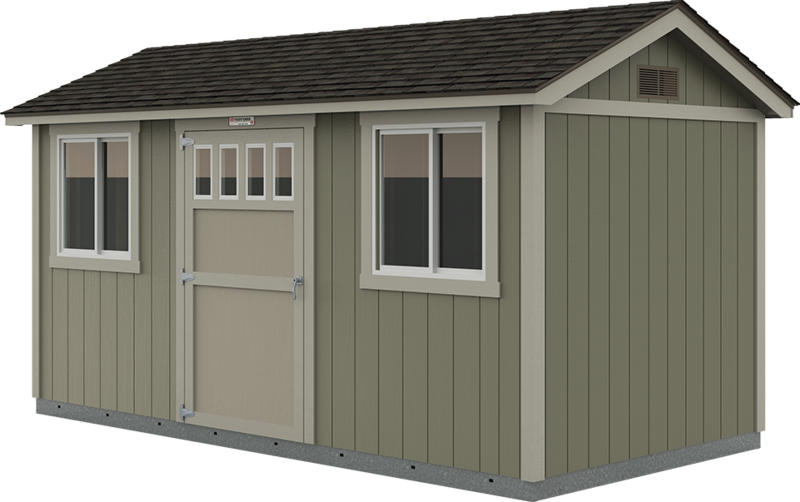 MBS / Tuff Shed also offers Premier Garages, Recreational Pro Series Buildings and Specialty / Custom Built Buildings. Ask us and we might be able to do it.